What It Is:Limited-edition, transculent powder compacts from beauty sirens Estee Lauder to represent the twelve signs of the zodiac. 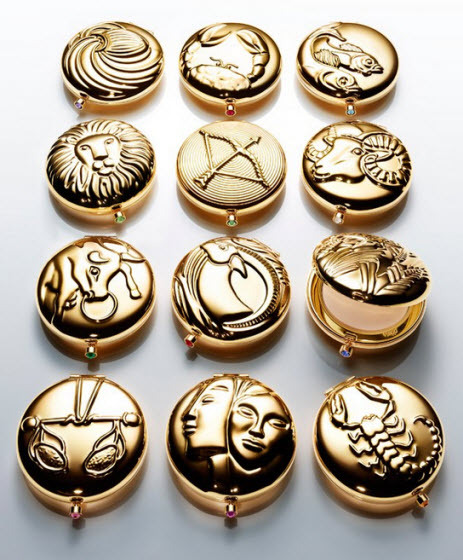 Each compact has a unique artistic imprint to represent your star sign, while the push-button to pop open the powder features each sign’s birthstone. Best of all, when you’ve used up your precious powder, you can actually get it refilled making this a lifelong treasure for your purse. Who It’s For:Your mom, to celebrate a significant birthday. Your astrology-obsessed spouse, as a special anniversary treat along with a fun note that predicts she’ll be in love for the rest of her life. Your bridal party, to combat shine and give them a customized keepsake they’ll keep for eons. Where It’s At:Estee Lauder, which is available at The Bay stores nationwide or online. I say you get what you pay for when it comes to your face, and Estee Lauder is among the very very very best. I love that it’s refillable! Ha! SSSSSOOO up my alley. Tarot reader and astro freak, I should so have those.